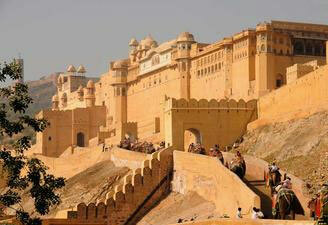 Golden triangle with Ranthambore tour remains extremely popular among travelers willing to know this country inside out. Book our Ranthambore and golden triangle tour to relish this popular circuit that covers Delhi, Jaipur, Agra and Sawai Madhopur. Ranthambore tiger reserve tour is ideal to spot royal tigers and golden triangle tour package takes you close to the richness of Indian heritage in the most beautiful way. 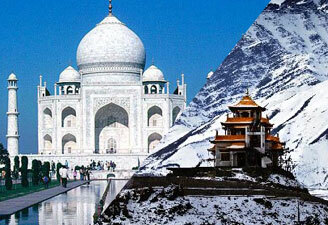 Book our Delhi Agra Jaipur tour with Ranthambore tour and make the best of your time in India. Upon arrival at Delhi International airport meet & greet by our representative & transferred to the hotel. Overnight at hotel. After breakfast, start for a guided tour of New Delhi.visiting Bahai Temple (Lotus Temple), Humayun's Tomb, the Qutab Minar, Connaught Place and India Gate. Overnight at Hotel. After breakfast, you take a sightseeing tour of Old Delhi. 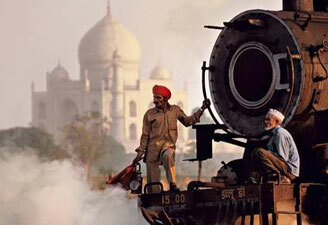 The city was founded by the Mughal emperor Shah Jahan. You visit Jama Masjid, Red Fort, Raj Ghat and other memorials on your tour of Old Delhi. In the afternoon, proceed to Agra. On arrival check in at the hotel. Overnight at hotel. In the morning proceed to visit one of the most beautiful monuments in India—Taj Mahal. The Taj looks stunning in the morning. After a visit to the Taj Mahal, head to the Agra Fort. The fort was built by the Mughal emperor Akbar. The fort houses various beautiful palaces and mansions inside. Later proceed to Ranthambore National Park. En-route visit Fatehpur Sikri, the capital city of Akbar. The city has some palatial buildings, a mosque and the shrine of saint Salim Chisti. Overnight at hotel. Enjoy a jungle ride in the morning at Ranthambore National Park. You will enjoy the wildlife safari on the open top vehicles. You can see various animals and birds in the park. Overnight at hotel. In the morning, proceed journey to the Pink City. Check in at the hotel on arrival in Jaipur. Rest of the day is at leisure. Overnight at hotel. After breakfast, proceed to Delhi. On arrival check in at the hotel to refresh and relax. Later transfer to airport/railway station to catch a flight/train back home. Tour ends.